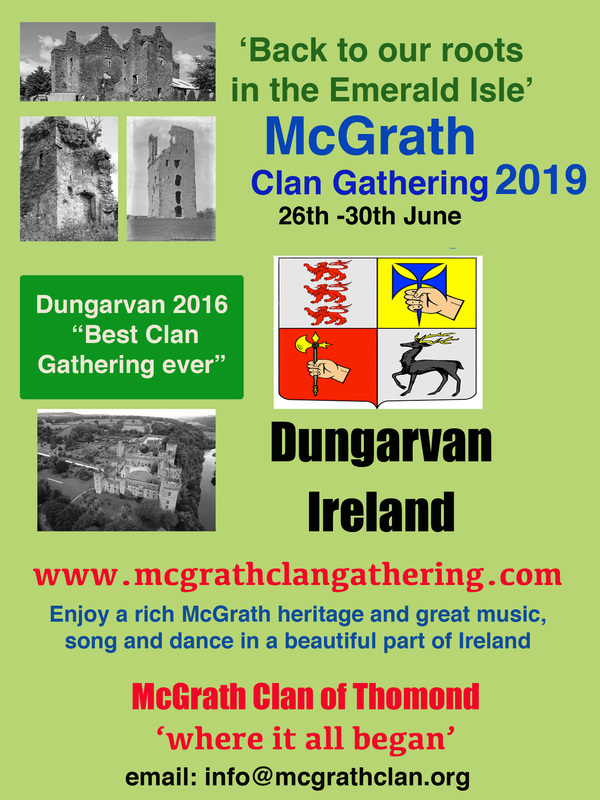 A book about the remarkable journey about five McGrath siblings from County Clare to Axedale in the heart of the new Colony of Victoria, in the 1850s will get it’s Irish launch on Friday 24th at the Clan Gathering. Their story and the equally compelling history of their descendants is from colonization to federation, a group of exceptional people who left their native place, then devastated by famine and demoralized by authoritarianism, to build a new life and to work for a prosperous future in a distant country that promised liberty and plenty. Written by John Collard and Tony O’Grady, ‘County Clare, Axedale & Beyond : An Irish Clan Downunder‘ is an interesting and well research book on an Irish family who departed for Australia all those years ago. There will be copies of the book available to purchase at the Clan Gathering. This entry was posted in Uncategorized on April 27, 2016 by McGrath Clan (official).